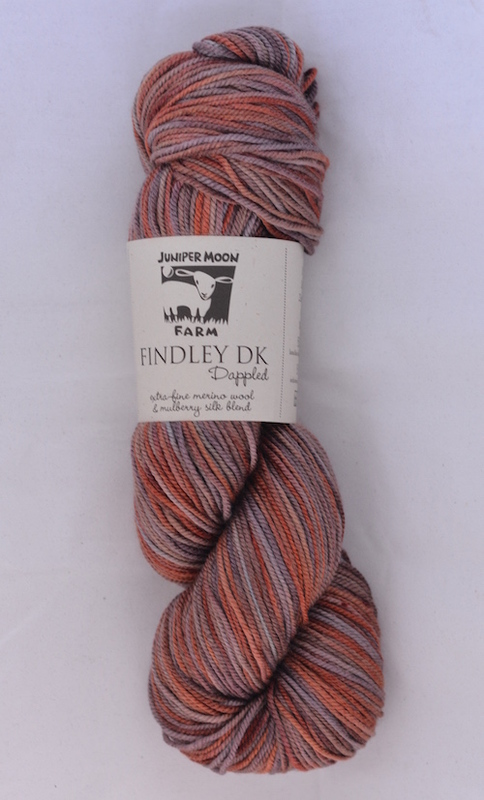 Juniper Moon Farm DK Dappled, shade no. 103 Hot Coco (Brown mix). 100g skein. 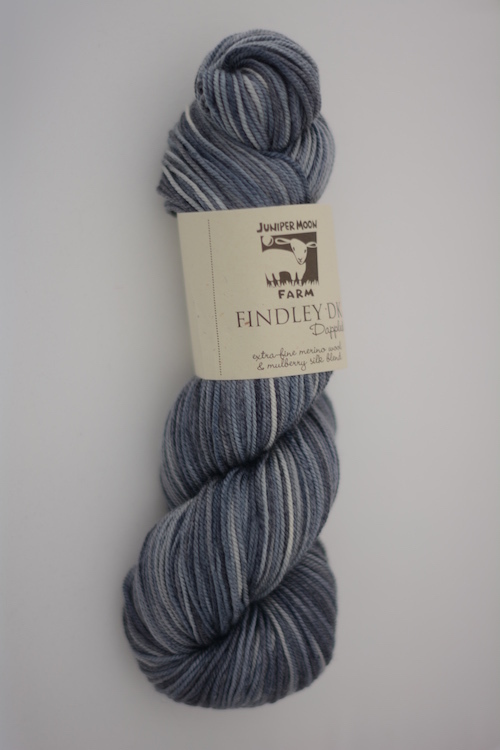 Juniper Moon Farm Findley DK Dappled, Shade number: 104 Vacation (blue). 100g skein. 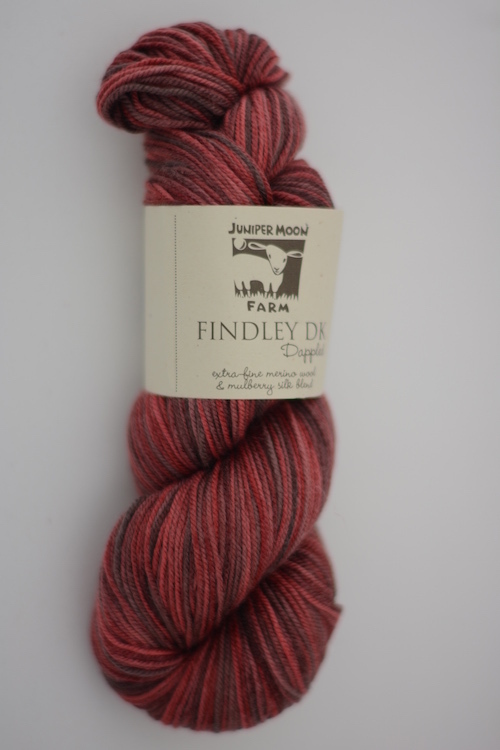 Juniper Moon Farm Findley DK Dappled, Shade number: 106 Forever Yummy (red). 100g skein. Juniper Moon Farm Findley DK Dappled, Shade number: 107 Totally (purple). 100g skein. Juniper Moon Farm Findley DK Dappled, Shade number: 108 It's Smokin (grey). 100g skein. 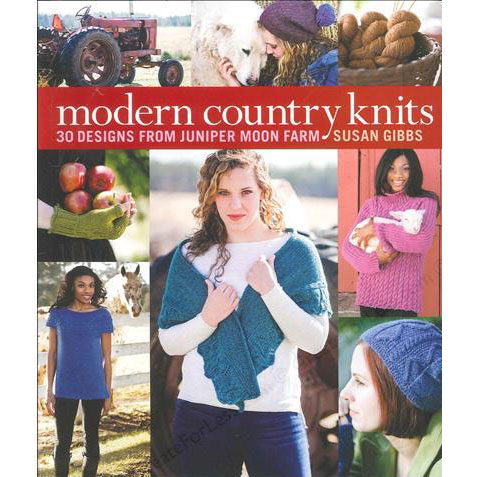 Juniper Moon Farm DK Dappled, shade no. 202 Sheer Bliss. 100g skein. Juniper Moon Farm DK Dappled, shade no. 204 Tough Gold. 100g skein. 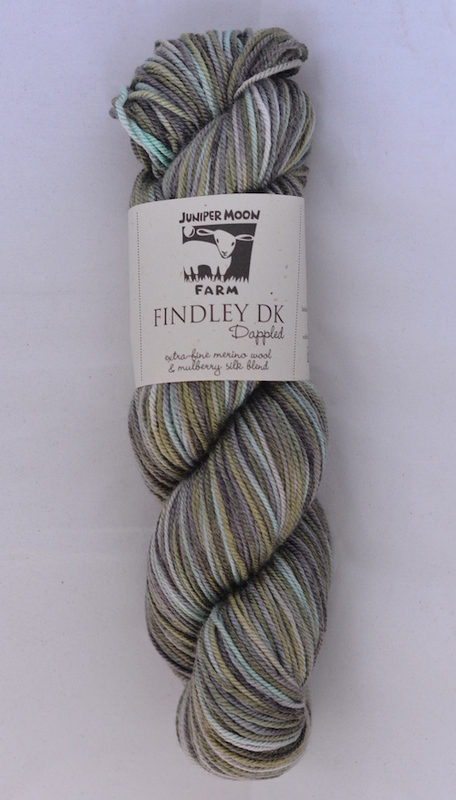 Juniper Moon Farm DK Dappled, shade no. 207 Lady Luck. 100g skein.